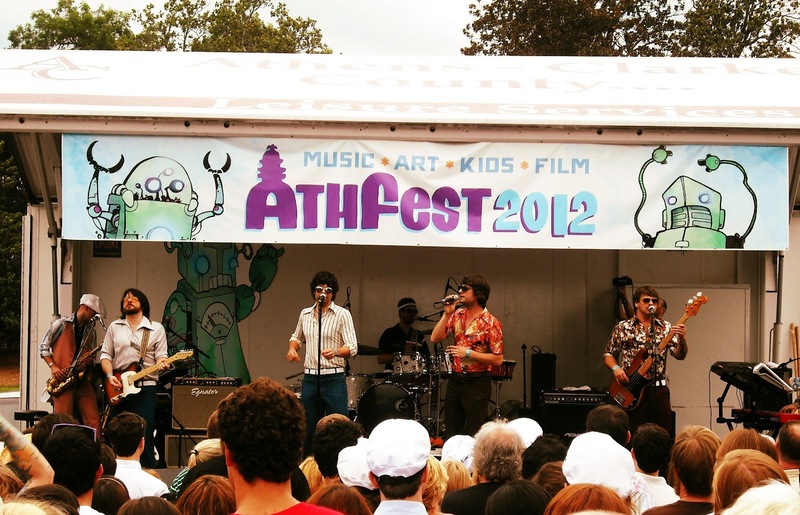 Yes, it’s really getting towards that time of year when Athfest takes over the hearts and minds of the people. Before the hubbub completely overwhelms us, I thought we’d take a look at some basics that we already know. We’ve already gotten wind that Kishi Bashi, Reptar, and Drivin’ N’ Cryin’ are headlining the outdoor stages. Futurebirds will be the featured artist at the 40 Watt. Other than that, we can only guess. My gut is telling me that we’ll see lots of familiar faces around, probably the folks that released an album this year like Don Chambers, The Warm Fuzzies, A. Armada, and more. Released on vinyl for the first time via Ghostmeat, the compilation this year is a bit smaller than most. We’ve got ten songs from the likes of Drive-By Truckers, Elf Power, Ruby the Rabbitfoot… all good artists. But I’d be doing myself a disservice if I didn’t voice my concern that the compilation this year is playing incredibly safe. Yes, you need big names to sell records and there’s limited space this go round but this group of artists hardly represents all that Athens has to offer. At least put someone who isn’t rock/pop on here… Grumbling aside, you can get it June 17th. 3. FLAGPOLE’S ATHENS MUSIC AWARDS! We got word yesterday via Twitter that the nominating committee had begun meeting. They decide what categories and artists are included in the awards for the year. If you don’t think that the categories are that big of a deal, try this on for size. Say you’re a pop/punk band. You’re the type that could go either way. So your band is placed in the Pop Rock category that also includes, say, the late Modern Skirts. Your chances are slim. If you’re in the Punk category, you may have a better shot. Most likely, you’ll be tossed into “Rock” and good luck to you. Around this time, I like to remind bands that if they are nominated and really want the award, MOBILIZE YOUR FANBASE EARLY AND OFTEN. Name recognition is huge but you can totally counteract that if you beg and plead for people to vote. Just a tip. So, yeah, Athfest is creeping closer. Get your sunscreen ready. The other headliner is Reptar! Email me your email and I’ll make sure you get press releases as they come out.